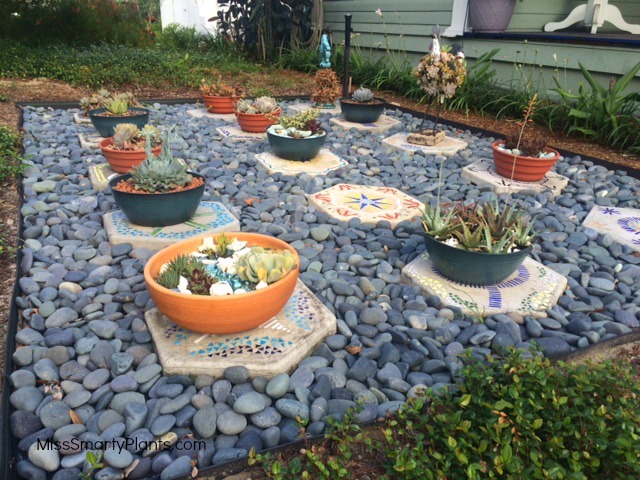 As part of the Great Yard Renovation of 2016 we created a special succulent container garden display area in our front yard. 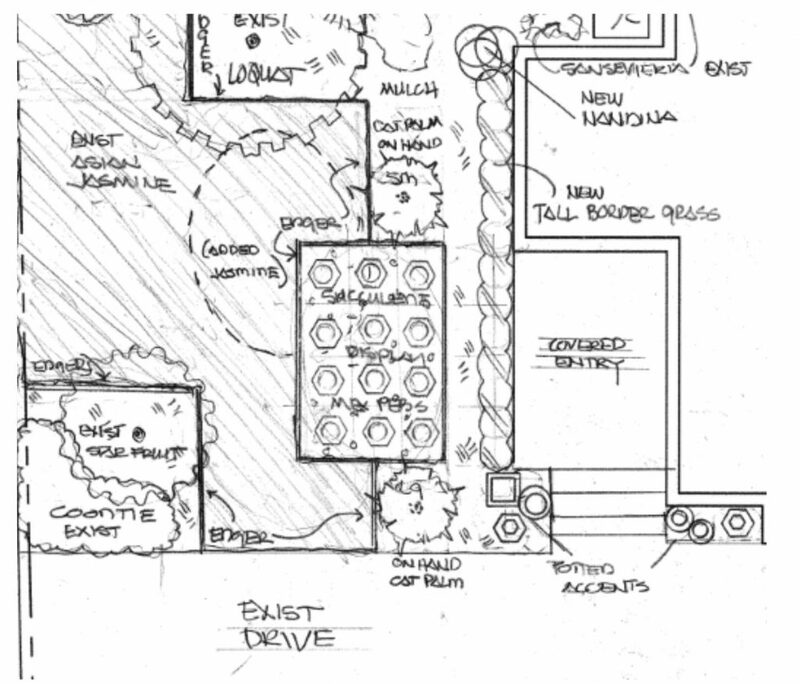 This was really the part of our landscape design plan about which I was most unsure. But I realize there are times when we all need to step out of our comfort zone (i.e. 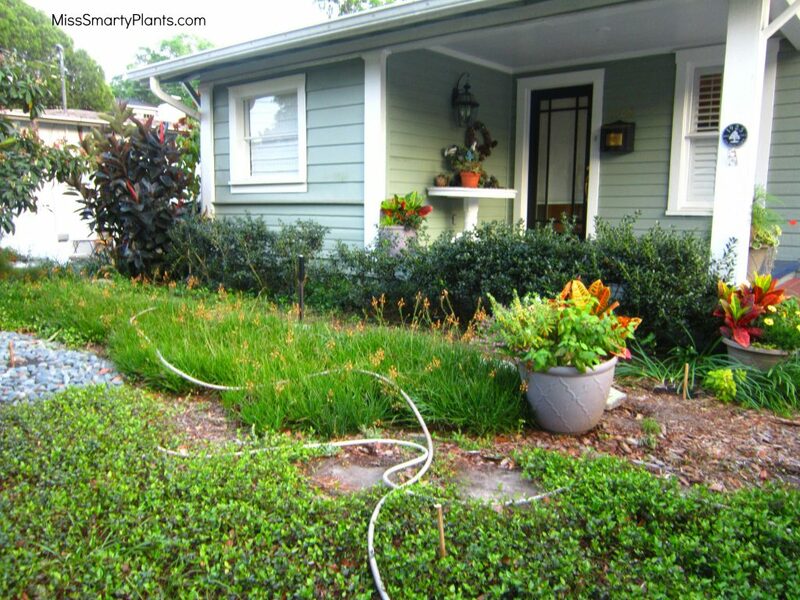 hedges and groundcovers) and try something new. This project is certainly that. – It cleared all (yes, all!) of my potted plants off our our back deck. This pretty much sold Mike on the whole thing. – It actually gives the succulents better growing conditions. Our front yard is much sunnier than the back. I make the argument that I have to keep these because of the presentations I give on growing succulents in Florida. 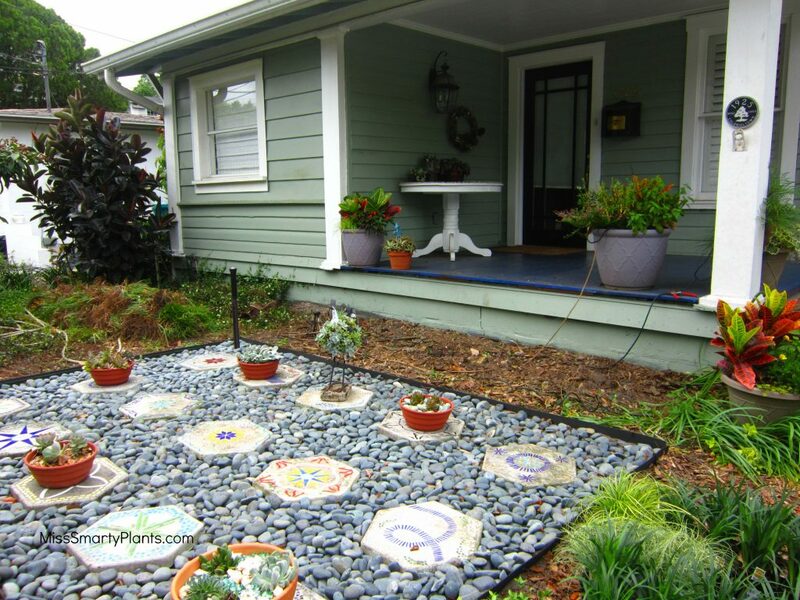 – It utilized both the stained glass stepping stones that we already had, but were in a pile behind the shed, as well as the Mexican river rocks. There are many other little things that I enjoy but these were the big ones. 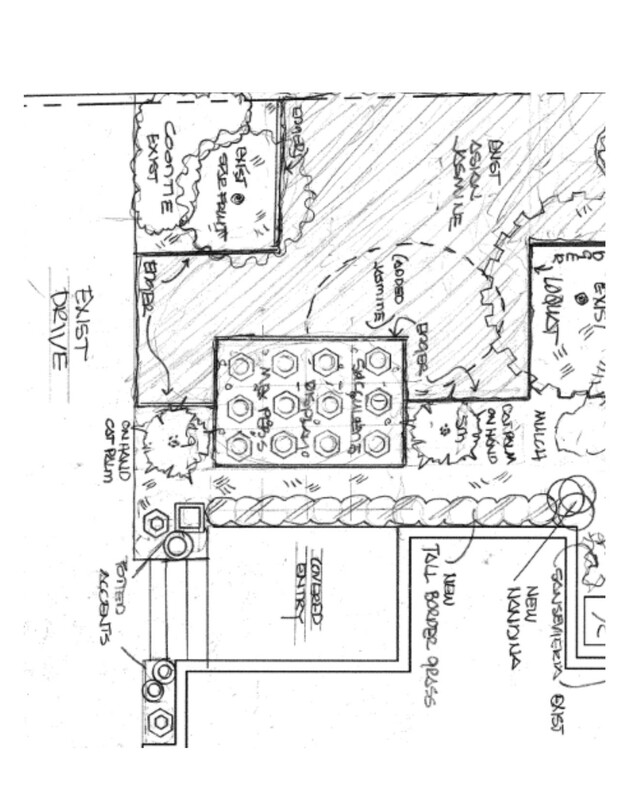 You can see in the plan by landscape architect Joe Brooks that the succulent container garden display area repeats the size and shape of our front porch. I know that this is a design element I have never considered before. It occurred to me that someone might be asking, “why don’t you plant the succulents directly in the ground?” It is pretty much because of this guy. 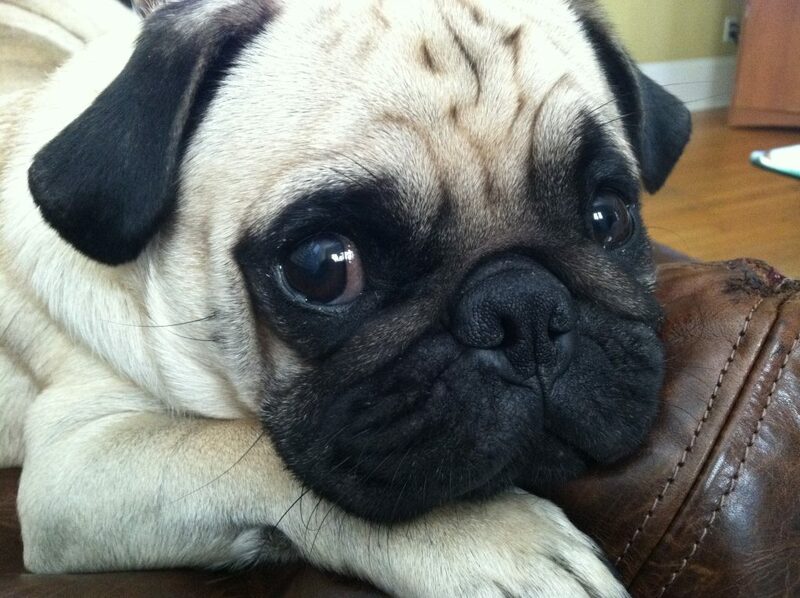 The world’s cutest, succulent-smooshing, fun loving, plant squashing pug. Capone is the reason I grow succulents in containers. A big part of this was removing the bulbine already growing here. We have had it for almost five years so I didn’t feel too bad. We were able to give it to a friend for a project she is working on too, so it wasn’t a waste of perfectly healthy plants. After the removal our “work space” presented itself. Some leveling and weeding created the perfect area. We began by measuring out the area and making sure we had everything square. Honest moment: This is not my strong point. I would rather kind of “eye ball” things and keep moving. but knowing how important this was to the overall design made me slow down and get it right. We used a hard edging called Vigoro Brown Composite Edging. It wasn’t the cheapest, but it certainly was the strongest edging I could find, short of investing in metal edging material. 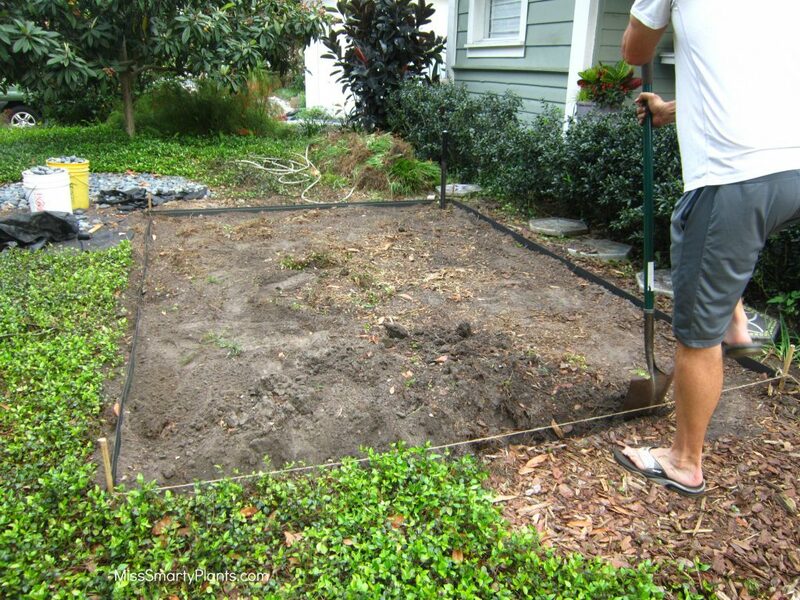 It was fairly easy to install and set out the perimeter of our succulent container garden display area quite well. Using materials that were already in our shed (and taking up space), we finished off a roll of weed fabric too. More than anything, I am hoping this will keep the river rocks from settling into the soil. 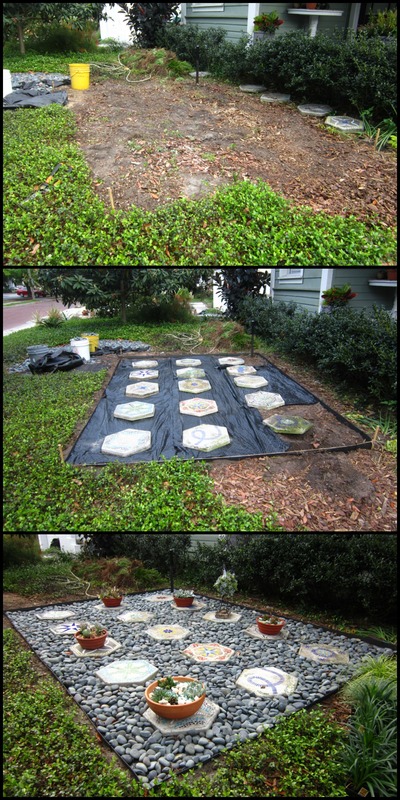 If you decide to do this with small pebbles I would certainly use the weed cloth. 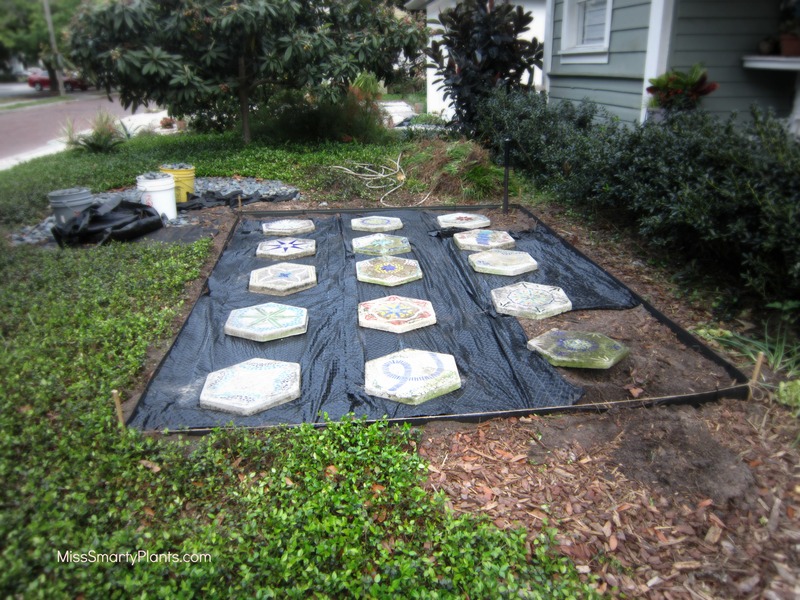 The stained glass stepping stones were laid out on a grid. I made these several years ago for a pathway and pulled them out when we changed to the flagstone. For almost three years they’ve been sitting against the shed and it was nice to see them back out front. 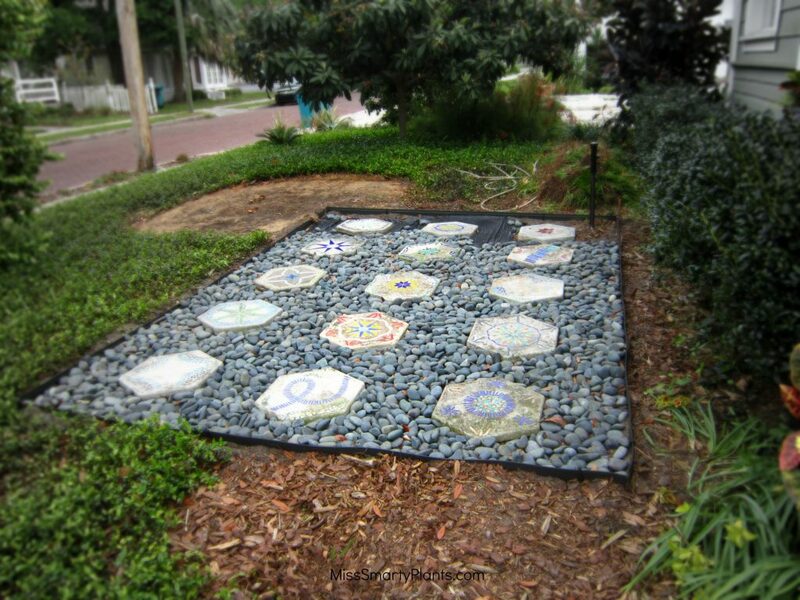 The Mexican river rocks were placed around the stones to fill in the spaces and tie everything together. In the upper left of the photo you can see the former circle where these were at before being moved. 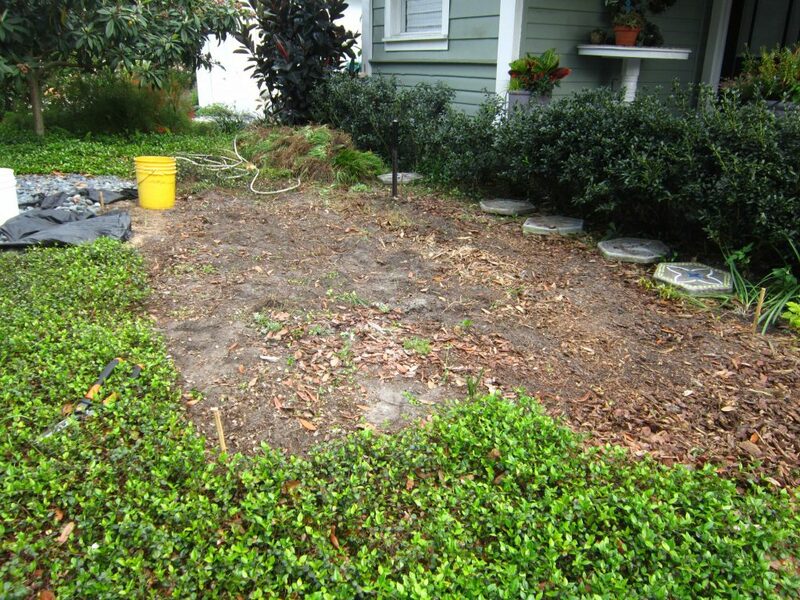 The Asiatic jasmine on all sides is growing back into the space quickly and a few new plants means this area should hardly be noticeable by fall. In a move that Mike thought would never actually happen, the plants from the back deck were moved. I had many sizes and shapes of containers, but these low bowls provide some consistency and also happen to be an excellent size for most of the succulents I am growing. The succulent topiary rooster made the transition as well as a few other oddities. In the end, our succulent container garden display is starting to grow on me. What are your thoughts?